To impart knowledge of the arts and craftsmanship associated with needlework with an emphasis on quilting and patchwork. To further interest and encourage individuals in the performance of these arts. To educate, learn, preserve and pass along existing information about needlework with an emphasis on quilting, patchwork and allied arts. To exchange information and knowledge in these arts with Guild members and other Guilds. 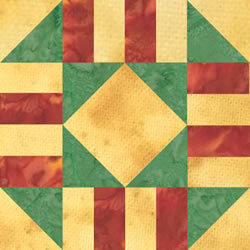 Membership shall be open to individuals who show a love of quilting and patchwork. Individuals seeking membership will complete a membership form and pay yearly assessed dues. A guest may attend two meetings before becoming a member. Paid members are eligible to attend all Guild meetings and functions. Members are encouraged to make a (fabric) name tag within six months of joining the Guild and wear it to each meeting. A roster of the current members shall be kept current by the membership committee and submitted for revision each month to the website administrator. A list of current members will be available on the website under the members section. It will be available to active members only by logging in with a username and password. The roster is only to be used for the purpose of member to member and guild communication. Dues will be assessed annually and will be payable at the January meeting. The amount of the dues is to be determined by the Executive Board. Renewing members’ dues must be paid by the April guild meeting or the member will by removed from the roster. Only members whose dues are paid shall be entitled to vote at the annual election, on matters of policy, and on amendments to the bylaws. New members pay the full amount of yearly dues when joining MQG during the months of January through June. From July 1 through October 15th, new members shall pay half the yearly amount. After October 15th, the current year’s dues will be waived with a paid membership for the next year. The officers of MQG shall be President, Vice President, Secretary, Treasurer and Program chair. The officers, chairpersons of standing committees and the immediate Past President shall hereafter be known as the Executive Board. The President shall preside at all meetings of MQG. The President shall appoint the standing committee chairs to serve for one year and shall be an ex-officio member of all committees except for the Nominating Committee. At the discretion of the President and after consulting with the Executive Board, the President shall act on minor matters whenever they cannot be taken up at a regular meeting. In the event that neither the President nor the Vice-President is able to attend the general meeting, the Secretary shall conduct the business of the MQG. The outgoing President shall act as an adviser for MQG for one year immediately following the term of office. The Vice President shall conduct the business of the MQG during the absence of the President. If the office of the President becomes vacant, the Vice President shall succeed to the office of President for the remainder of the term of the office. The Vice President will help coordinate and facilitate activities of all MQG committees. For special activities (ie. retreats or bus trips), the Vice President will act as committee chair. The Secretary shall keep a record of all Board meetings, including attendance lists for MQG on file. A copy of the Constitution and Bylaws and any amendments thereto shall be available on the website. The Secretary shall email Board meeting minutes the President within two weeks after the Board meeting. The Secretary shall make available a copy of the Board meeting minutes to any MQG member who requests them. Executive Board meeting minutes will be available to the membership on the website after being reviewed by the President within 3 weeks after the Board meeting. The Treasurer shall serve a term of two years. The Treasurer shall keep an account of all monies received and make payments and disbursements. The Treasurer shall assist in the preparation of the annual budget for MQG. The Treasurer shall make an end of year report to the membership in January. In the event of the Treasurer’s inability to act as Treasurer, the President is also authorized to make such payments and disbursements, until such time as a new Treasurer is appointed or elected to fill any vacancy of office. The Treasurer shall be responsible for filing tax forms and the annual report for her year in office. The annual report to the state must be filed by the end of the quarter following the end of the fiscal year. The annual report forms are provided by the state. The Treasurer shall post a detailed financial statement at the general meeting following a Board meeting. At the end of the Treasurer’s term she shall submit the MQG records for an independent audit ordered at the Board’s discretion. The results of the audit should subsequently be reported in the MQG newsletter. All checks for the amounts of $500.00 or greater in MQG’s General Account shall be co-signed by the Treasurer and the current Guild President to make the endorsement consistent with bank requirements. The Program chair will serve a term of 2 years. The Program chair will be responsible for planning programs for the current year and through February of the following year. Planning for programs, workshops and other activities includes contacting speakers, signing contracts (as appropriate) and facilitating MQG activities at meetings. There will be a Program Co-chair to serve 2 years. The first year will be as Co-chair to the Program chair, and the second year will be as the acting Program chair. It shall be the responsibility of the Executive Board to create and approve an annual budget and to report this budget to the membership at large via the website. Each Board member shall have one vote on all questions of policy and present recommendations to MQG. To hold a vote on questions of policy, a quorum of the voting members of the Board must be present. Assuming there is a quorum and a vote is called for, then a simple majority of the voting members present will determine the vote. If a voting member of the Board cannot be present at a Board meeting, she may elect to pass her proxy to a subcommittee member, with instructions to use that vote as directed by that Board member. Such proxies must be signed by the voting Board member (electronic proxies such as email or text messages are acceptable) and presented to the presiding officer at the beginning of the Board meeting to be considered valid. In the event of a tie vote, the President will cast the deciding vote. Executive Board at the last Board meeting of the calendar year to facilitate planning of the budget for the next year. If a vacancy occurs in the MQG Executive Board, the MQG Executive Board shall have the right to fill the vacancy for the remainder of the unexpired term of office. The President shall be responsible for the appointment of a Nominating Committee, which shall consist of three members, chosen annually in July. Every year, the Nominating Committee shall prepare a list of candidates for the offices of President, Vice President, Secretary and Co-Program chair in its list of offices to be filled. Candidate’s names shall be presented at the August annual meeting. In odd years, the Nominating Committee shall add the Treasurer to its list of offices to be filled at the annual meeting. The Treasurer serves a two year term. Candidate’s names shall be presented at the August meeting. Nominations from the floor are in order. Each nominee for office including nominations from the floor must give consent to accept the nomination for office and be fully advised as to the responsibilities of that office. The Chair of the Nominating Committee shall hold the election of officers at the September meeting If there is more than one candidate for the same office, election shall be by ballot and a majority vote shall elect. If there is only one candidate for each office, it will be in order for the Chair of the Nominating Committee to cast the vote of the membership for the slate of officers presented. There shall be one general meeting on the second Monday of each month at which all official Guild business shall be conducted. The annual meeting for the election of officers shall be in September. Newly elected officers shall assume their duties on January 1 and serve through December 31 of that year. Meetings of MQG Board shall be held at least quarterly and at the call of the President. All MQG members whose membership is current are encouraged to attend the MQG Board meetings. A quorum of a regularly called meeting shall be one-third of the membership. Board meetings shall be presided over by the President or her representative, who shall conduct the discussion of issues in a civil fashion, allowing members to express their opinions while maintaining general order. The president shall decide when the discussion on an issue is closed and whether a vote shall be taken. Voting on issues shall occur only if a quorum of voting Board members is present; a simple majority will decide the vote. Provided that there is a quorum of the paid membership present, the Constitution and Bylaws may be amended at any regular meeting of the Mudsock Quilters Guild. Notice of any Bylaw amendments shall be thirty days prior to a vote. In keeping with the guidelines for incorporation, the Guild will maintain a registered agent (typically the Treasurer) with a registered physical office or address, other than a post office box, located in the State of Indiana for the purposes of serving a summons or other legal communication. The Guild shall notify the State if the agent or agents address changes. The membership may vote to dissolve the Mudsock Quilters Guild at any general meeting of the Guild by a simple majority vote, providing that a motion to dissolve has been submitted in writing at the previous general meeting. In the event of dissolution, the Executive Board shall, after paying or making provisions for payment of all of the liabilities of MQG, all remaining assets shall be distributed to a 501 (c) (3) organization with similar purposes. No funds shall go to benefit the Executive Board of MQG or its members.